Congratulations Orlando! And there will be more to come because he's a great actor. Congrats to our favourite :crusader: ! Way to go, Orlando! Oh yay!! I'm so happy for him! He deserves this so much! He was absolutely amazing in Kingdom, my favourite movie! Congratulations Orlando! Congratulations, Orlando. Well done. You deserve it. Way to go, Orlando ! It's great to see him get the recognition he deserves for his awesome portrayal of Balian in Kingdom of Heaven. 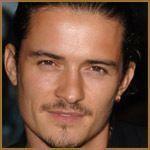 No matter what other roles he may get, Orlando will always be my "knight in shing armor". I loved Balian ! Well, Ridley was mumbling something about a sequel a while back. Eventually! At last orlando's getting the recognition he deserves. A 2-hour-summary will be shown on Arte (french/german TV-Chanel) at 23:35 (GMT+1:00). I will try to grab that. Did you succeed? I really hope so!! Finally Orlando on German TV, and I missed it!!! As most of you said before, it’s about time that he gets the recognition he deserves. His KOH performance was excellent and absolutely captivating. The award comforts me a lot, as the cutups of some German boulevard press - as far as his role in “Elizabethtown” was concerned - weren’t positive at all. Congratulation, Orlando!! See you next February at the 78th Academy Award! !